In what should be the next big thing on the internet where marketers see a surge of activity and aggressive marketing tactics seems to be Healthcare . Online Healthcare provides a minefield of opportunities to advertisers and healthcare companies to target healthcare related products once user health records and data comes available. Most Paper records in hospitals and physician offices are increasingly being replaced by digital form on computers. Consumers are creating their own personal health records online as well. Advocates see opportunities for better health care, and some companies see profits. But a few patient privacy experts foresee problems. Gabriel and other doctors at the University of Pennsylvania can share computerized information about patients they have in common. But, he says, when patients aren't in that system, getting information about them isn't so easy. 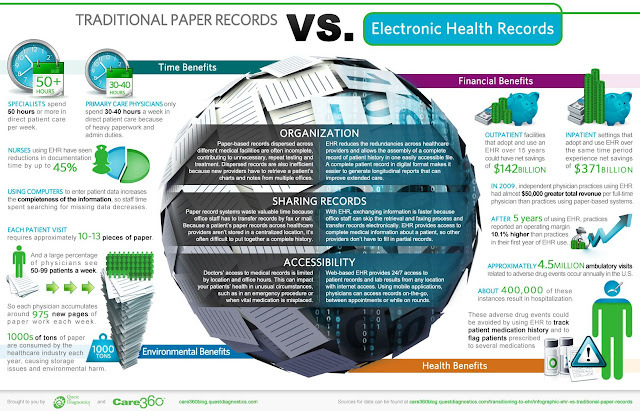 A personal health record, or PHR, could help. Here is how things could become very exciting for marketers once Patients medical records are made online. Marketers can target customized healthcare ads from healthcare providers. patients too can get accesses to large number of information and offers by healthcare providers. 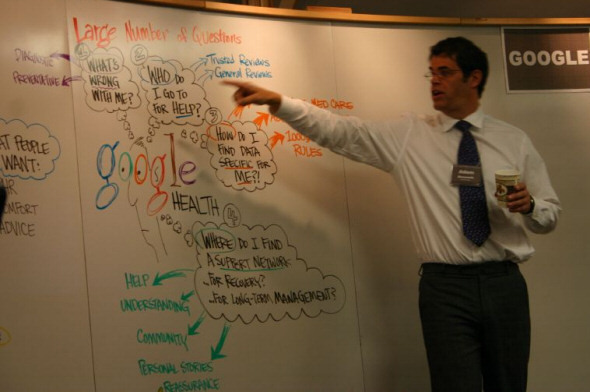 By combining better Internet search tools, the vast resources of the Web and online personal health records, online marketers are betting they can enable people to make smarter choices about their health habits and medical care. However for most people, typing an ailment into a Web search engine is very different from entrusting a corporate titan with personal information about their health. Microsoft gets about 6 billion search queries a month. An estimated 3 percent to 7 percent of those are health-related. 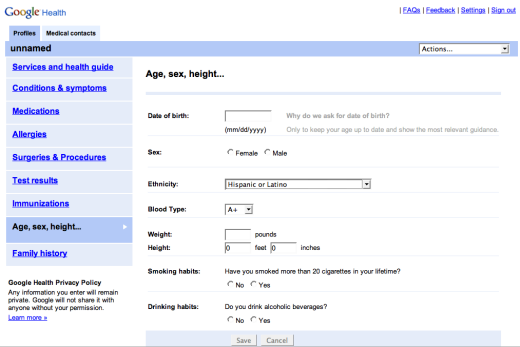 Microsoft hopes online health records will drive even more search traffic and allow for more health-related ads. Online personal health records are still in their infancy. A tiny number of individuals have them. The widespread ability to easily share information between doctor and patient is probably years away. Earlier this year, Microsoft acquired Medstory, a Foster City, Calif.-based startup specializing in search software optimized for finding health information. Microsoft software is already used in hospitals, clinical laboratories and doctors’ offices, and, Mr. Shihadeh noted, the three most popular health record systems in doctors’ offices are built with Microsoft software and programming tools. Microsoft will not disclose its product plans, but according to people working with the company the consumer effort will include online offerings as well as software to find, retrieve and store personal health information on personal computers, cellphones and other kinds of digital devices perhaps even a wristwatch with wireless Internet links some day. Yet personal health records promise to be a thorny challenge for practical and privacy reasons. To be most useful, a consumer-controlled record would include medical and treatment records from doctors, hospitals, insurers and laboratories. Maintaining digital health record would require partnerships and trust between health care providers and insurers and the digital record-keepers. Privacy concerns are another big obstacle, as both companies acknowledge.A person might start, typing in age, gender and a condition,and a common ailment like diabetes, as a way to find more personalized health information. If a person creates a personal health record and later has second thoughts, a simple mouse click should erase it. The promise, the companies say, will be complete consumer control. Online healthcare promises to be a great way for search marketers for targetting a user by their medical history which is most industry experts say is more relevant and trustworthy way of marketing products online. It would be interesting to see however how privacy issues are handled by the two search giants.